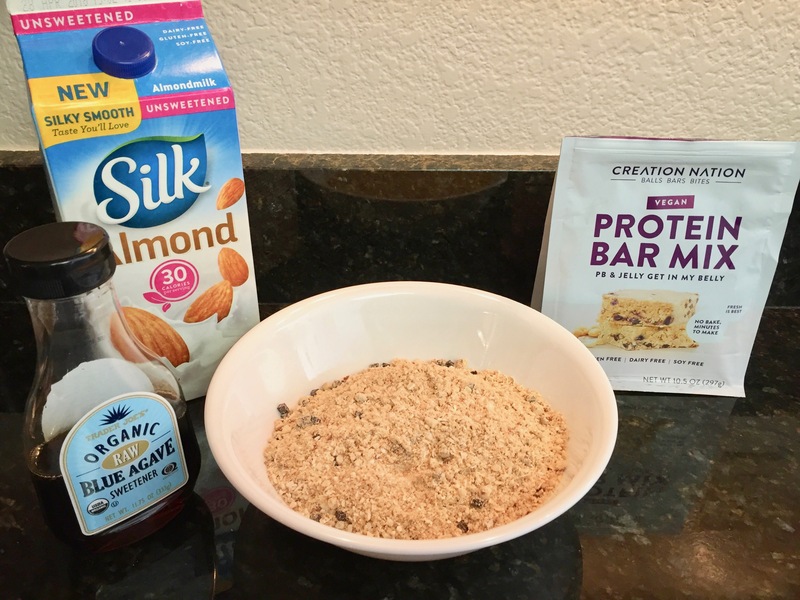 Have you ever thought about making your own protein bars? My athletic husband, having tried and complained about many pre-packaged bars, inspired me to look into how to make them. 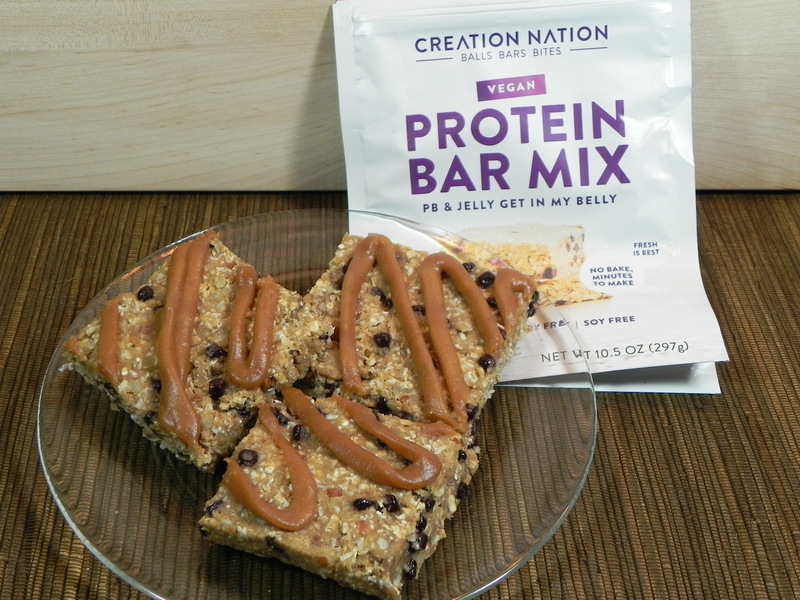 After doing research I realized that I don’t have to experiment, thanks to Creation Nation’s Protein Bar Mixes. I discovered them at Natural Products Expo West and thought that the DIY homemade bar idea was brilliant. The mix is vegan and requires no baking, so it made my job easy. But, being a decadent dessert maker, I had to take it up a notch. I made a peanut butter frosting for the PB & Jelly Get In My Belly bars that took them from tasty to mmmmm tasty. I melted some creamy peanut butter on the stove to make it stirrable. After I removed it from the heat, I stirred in a little vegan powdered sugar and almond milk. The frosting was then drizzled onto the refrigerated bars. I was winging it so I didn’t measure any ingredients, so feel free to add as much or as little to get your desired taste. The bars themselves are customizable, too, depending on how sweet you want to make them. It also offers add-in choices so you can use what you have on hand. I added almond milk and agave sweetener to the packaged mix. I made them a bit less sweet so my peanut butter frosting didn’t take them over the top. It was nice to use a mix and have a fun treat (or simple breakfast) ready in a flash.